What to ask your DJ before booking him for your wedding? 1.Are weddings your primary focus of profession? What other clients have you performed for? Any clubs, events or fests? It is important that your DJ is an all-rounder in the field of music. You are going to have guests from varying different demographics with different tastes and it is important that your DJ finds a common base for them all to enjoy. These questions will help you determine his experience and knack for entertaining all audiences. 2.Will you customize the music experience according to your clients? A DJ is only good enough if he can relate to the audience he is playing for. It is important that the DJ picks up on the vibe that the couple wishes to give their guests. 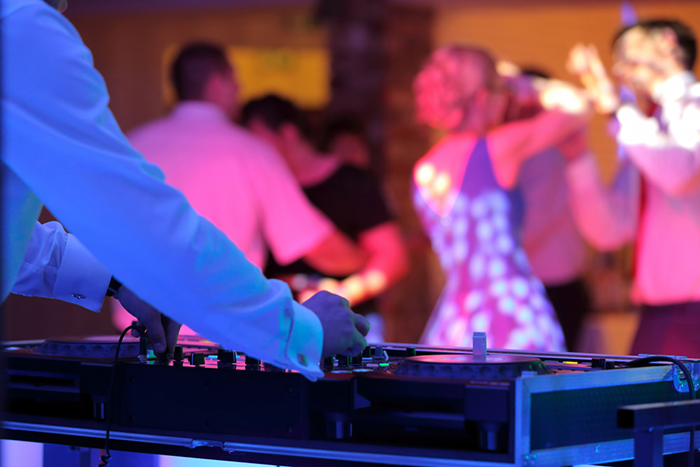 Look out for the best wedding DJ’s in Chennai to ensure that your clients have a good time. 3.Will you customize the music experience according to your clients? Most importantly, Indian weddings have so many different events to cater to. Ensure that your DJ fulfills the criteria of DJ for bachelor party in Chennai, DJ for wedding reception in Chennai, DJ sangeet Chennai and DJ for marring in Chennai to cover all aspects of your big fat Indian wedding!